Take away all damage done to this pokemon in your opponent's last turn and whatever damage they did to you, you do it to them. Your opponent loses their next turn. 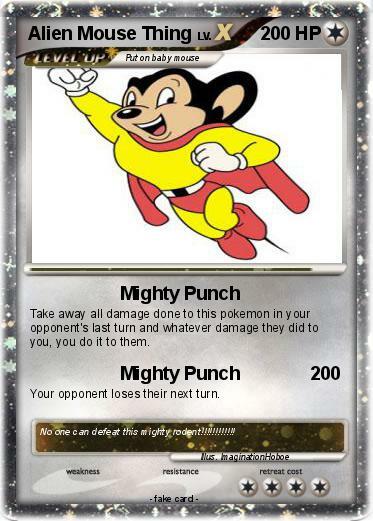 Comments : No one can defeat this mighty rodent!!!!!!!!!!! !